Denis Villeneuve’s engaging new sci-fi drama Arrival opens with a montage which showcases the deft balance the film strikes between its lofty themes and a grounding humanism. The sequence has linguist Dr. Louise Banks, played by Amy Adams, deliver a monologue over images which take us through her relationship with her deceased daughter, despairing that life is: “bound by the order of time”. Arrival is not afraid to make ambitious statements, and it is a great credit that the film never loses sight of the personal even while dealing with the universal. The plot concerns the arrival of a dozen alien vessels to various locations on earth. The film’s vision of the reaction to such a cataclysmic event is often uneasily familiar; people crowd around television sets in a horrified silence, there are global demonstrations and riots, fear-mongering radio hosts call for a violent reaction to the visitors. The American military send Colonel Weber (Forrest Whitaker) to call upon Louise, as well as theoretical physicist Ian Donnelly (Jeremy Renner, wearing spectacles which make him strangely resemble BBC's Simon Mayo), in response. The pair are tasked with discovering a means to communicate with the extra-terrestrials, as outside pressure mounts from increasingly paranoid governments who, the film pointedly notes, are unable to communicate with one another. Though Villeneuve’s vision is vast, the film’s style is marked by restraint. Whereas the director’s previous film Sicario (2015) featured a number of bravura visual set-pieces, Villeneuve (working with cinematographer Bradford Young) here favours simpler designs blown up to epic scale. An early helicopter trip to the site of the American arrival shows us the towering stony black oblong of the alien vessel planted in green fields with rolling mist – a landscape which seems as foreign to viewers as the visitors themselves. The aliens appear as ghostly squid-like creatures, dark shadows emerging from dense white fog. Their language takes the form of circular symbols rendered in an inky black substance, reminiscent of Asian calligraphy. The end result is an austere beauty. Arrival functions very well as a genre piece, and it wears its influences on its sleeve. The team’s initial encounter with the alien species takes its cues from a similar lunar sequence in Kubrick’s 2001: A Space Odyssey (1969), and the design of the spaceships is an obvious visual reference to the earlier film’s enigmatic monoliths. The sub-aquatic atmosphere of a later encounter also nods to Jonathan Glazer’s Under the Skin (2013). Like its predecessors, Arrival’s soundtrack is also crucial to the film, as a creaking and gurgling score by Jóhan Jóhannson underscores tense interactions, while an elegiac piece by Max Richter is used to great effect. However, whereas many films of the genre can leave viewers cold, Arrival’s major triumph is its human centre. As the momentum increases in the second half of the film, Adams’ character increasingly becomes the focus of the action. When squabbling breaks out between the uncooperative governments, Villeneuve keeps the drama close to his protagonists, ensuring the film does not devolve into anything resembling the mindless overblown spectacle one might expect from a lesser work. Instead, Adams’ nuanced portrayal of Banks keeps the film balanced, and our investment in her refreshingly flawed character ensures we are not lost during the ambitious final act. She handles the gravity of the key confrontations and the tender flashback sequences with equal skill, bringing a believability to the character and a warmth to the screen. A cleverly-hinted turn in the plot which sees the film’s temporal order shift leads to a bittersweet finale, and the film’s closing scenes are moving without feeling mawkish or overbearing. Arrival impressively manages to provide an intellectual science fiction film about language and communication, and a compelling personal narrative dealing with memory and grief, in which the two strands are intrinsically linked rather than either feeling superfluous. 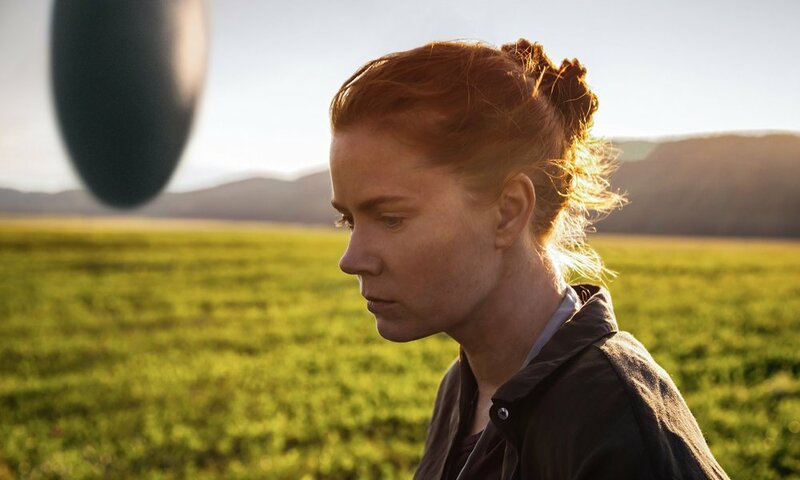 It is a testament both to Adams and Villeneuve that Arrival can shift so seamlessly between the two registers, and the result be such a success.